Coaches in Training is an innovative program that blends mentorship, youth leadership, workforce development, and coaching into one amazing summer. 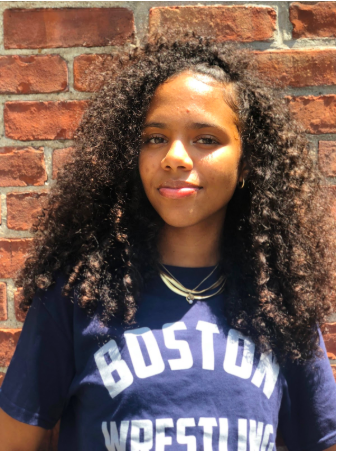 Thanks to initial funding from the Shannon Community Initiative through the State Executive Office of Public Safety and the Boston Police Department, as well as additional funding from the Boston Centers For Youth And Families, the Mayor’s Youth Employment Fund, and the Lenny Zakim Fund, each year BYW hires between 5-8 youth every summer to work in a leadership development program that trains them on coaching and mentorship, and then sends them out to community partners across the city to work with young people at our mini-camps, teaching them the fundamentals of wrestling and serving as role-models to the youngest ones in our community. This innovative approach has created a participant-to-coach pipeline which sustains our coaching ranks with former participants who best understand the needs of our youth. To date, three former interns have worked as middle school coaches for our program since 2017. Meet our Coaches in Training Alumni! Alex is 16 and attends Excel Academy East Boston. His goals are to use his skills to win wrestling matches, to be a cook, and to be a soccer player. This is Alex's first summer in the CIT program. Meily is 14 and goes to John D. O’ Bryant. She has wrestled for 3 years. Meily’s goals are to improve her wrestling skills and to be a runway model. Ashily is 16 and goes to John D. O’ Bryant. Her goals for wrestling are to enhance her skills and learn new moves quicker. Ashliy's dream is to become an architect and an interior designer. Malcolm is 14 and attends Boston Latin Academy. His goals are to win 1st place in states for wrestling and to work in the fields of finance in the future. This is Malcolm's second summer as a CIT. Iftayo (a.k.a. "Tayo") is 16 and goes to John D. O’ Bryant. He is thankful for all the opportunities that there are in Boston. Ifatayo’s goals are to be better at wrestling, to be either an accountant or a nurse, and to take greater action on issues. 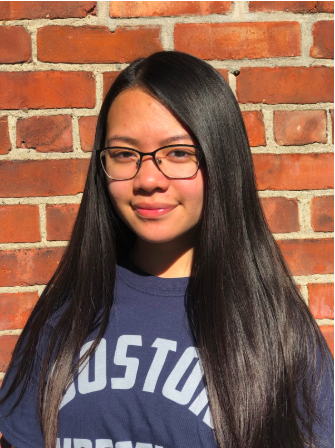 Nadia is 14 and attends Boston Latin Academy. Her goals are to get fit, have a healthier lifestyle, and to gain as much skill as possible for any sports. Nadia is our Office Intern this summer. Tim, 19, recently graduated from Tech Boston Academy and will be attending at Bunker Hill Community College. He has been wrestling for 7 years and plans to continue throughout college. Tim's end goal is to continue coaching middle school and high school students. Jahi, 17, is a rising senior at Josiah Quincy Upper School and has been wrestling with them for 5 years. When he graduates, he plans on doing club wrestling in college. During and after college, Jahi hopes to go back to his high school and teach the students there everything that he has learned. Emahni, 14, will be entering his freshman year at Boston Arts Academy. He wrestled for 2 years at the Eliot K-8 School and plans to continue during and after high school. Emahni hopes to continue into martial arts. Kaylalee, 14, will be entering her last year of middle school at the Frederick Pilot Middle School. She has been wrestling for BYW for 1 year. 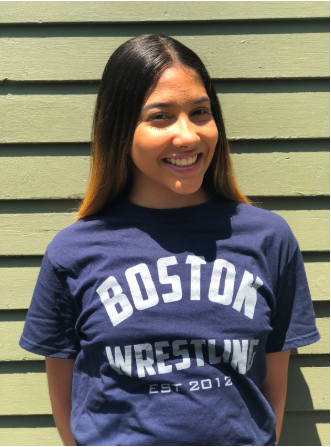 She wants to stay with wrestling and hopes to be able to do it during her high school years. Anthony, 15, will be entering his sophomore year at Boston International. He has been wrestling for BYW for 2 years. He wants to continue wrestling through all of high school as well as college.